Learn a simple yet effective technique of meditation as originally taught by Paramhansa Yogananda. This course is open to anyone who wishes to learn to meditate, regardless of religious or spiritual background. Whether or not you are a new to meditation, these lessons can help you establish and develop a deep, consistent practice and help awaken within the peace, joy and divine love that are a part of your true nature. Meditation not only reduces stress and improves physical and emotional well-being, it will help you to be focused and calm, and obtain direct experience of the divine realities within. In addition to meditation, you will learn Paramhansa Yogananda’s “Energization Exercises,” a unique set of exercises that will give you better health, more energy, and an ability to direct the energy in the body at will. Downloadable textbook (pdf format) and audio learning tracks (mp3 format). 3 additional live question & answer webinars. Jitendra, Maria, and Devalila collectively have taught meditation to literally thousands of students. Brahmachari Jitendra is recently from Rhode Island where he lead a meditation group and taught meditation in diverse settings. Nayaswami Maria as been part of Ananda since 1976. 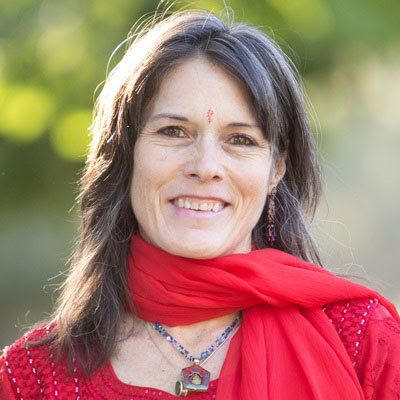 She and her husband, Nayaswami Ananta, were the Ananda Center leaders in Sacramento for over 23 years. She has guided many souls on the path to Self-Realization. Devalila is an Ananda Meditation Teacher graduate and Yoga Instructor, as well as an Ananda Minister. All three instructors live at Ananda Village in Nevada City, CA.